Participants training for the Miami Marathon and Half Marathon on January 29 share their motivations for running. Here are some of their stories in the first installment of this year’s marathon profiles (the second batch of stories will be published next week.) Baptist Health is a sponsor and the official medical provider for the event. 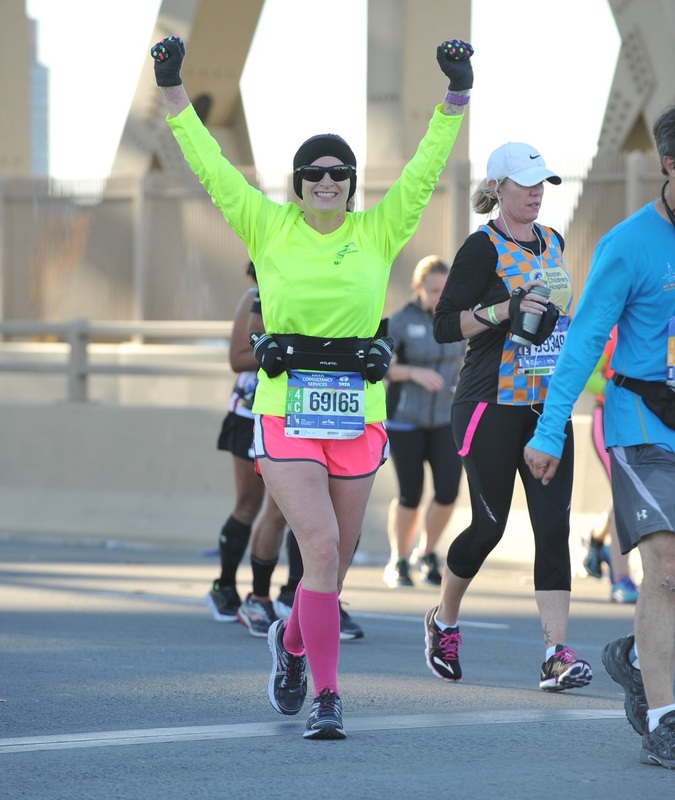 At her oncologist’s request, a photo of Ms. Boyd crossing a marathon finish line less than a year after she finished treatment hangs in the cancer specialist’s examination room. At a follow-up visit, Ms. Boyd wondered about the impact of her photo on newly diagnosed patients. After running her first marathon in 2006, she took a break from long distances until 2011. At the end of 2013, when she lived in Oklahoma, she got the cancer diagnosis. “I had a great support group of runner friends. Sometimes I walked when they ran. I didn’t push myself,” Ms. Boyd said. Ms. Boyd and her husband, Brian Boyd, (pictured) moved their digital marketing company to Pompano Beach in 2015. One day, she was intrigued by a group of runners clad in bright yellow shirts heading along A1A. She joined the Friends in Training (FIT) running group, led by Marcela Todd. So did Mr. Boyd, who had never run before. Ms. Boyd ran a marathon in Berlin with her FIT group and has signed up for one in Toyko in February, the month after she runs the Miami Marathon. “Marcela got me on this kick with the World Majors — six key races all over the world,” Ms. Boyd said. The mother of a grown son and daughter, Ms. Boyd is focused on the running lifestyle and living her life to the fullest. He was also stressed with their growing digital marketing company, which they moved to Pompano Beach from Oklahoma in 2015, after Ms. Boyd’s cancer treatment was over. Yes, it was time to attend to his own health — and have some fun with Fran. 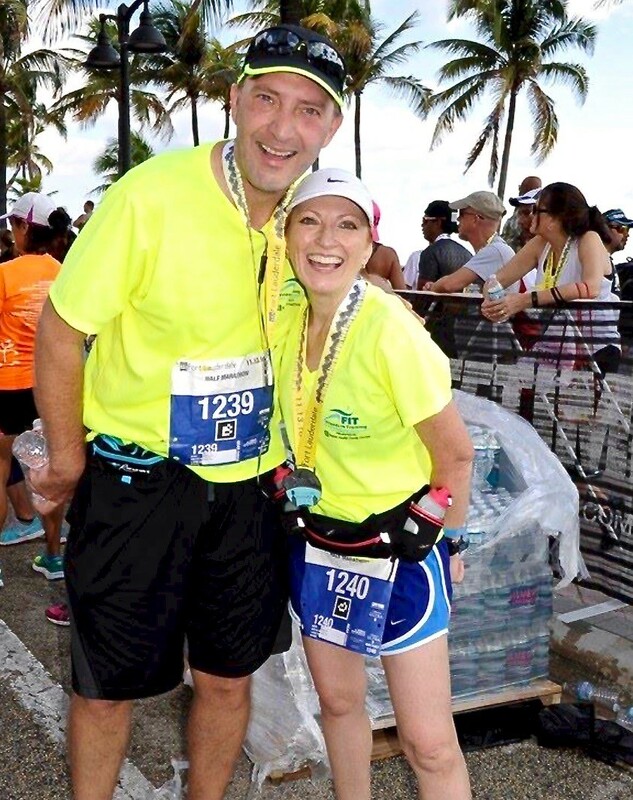 The Boyds joined Friends in Training (FIT), a Fort Lauderdale running group, after settling in South Florida. The welcome he received at FIT has helped him transform his life. Before he knew it, FIT Head Coach Marcela Todd had signed him up to run the Miami Marathon. It will be his first, and he feels ready. “This morning I ran 10 miles and it was like cutting butter with a hot knife,” Mr. Boyd said. Michelle Kirk started running a few years ago, but had to quit exercising when she got pregnant with her first child and developed a high heart rate. After a 70-pound weight gain during the pregnancy left her feeling depressed, she was eager to get back to running. So, as soon as her daughter was born in early 2015, in a bold move, she signed up for the 2016 Walt Disney World Marathon in Orlando. The Miami Marathon will be her third — after the Disney run. She entered the lottery for the New York City Marathon and got in, completing her second marathon in November back in her hometown. Ms. Kirk, who coaches a Fort Lauderdale-based group in the Friends in Training (FIT) running program, exploded onto the social media scene last summer after her Facebook post went viral. During a run in her Pine Island Ridge neighborhood, a man on a bicycle blocked the sidewalk where she was jogging while pushing her 18-month-old in a stroller. He then made inappropriate comments about her breasts. She was overwhelmed by the response. “By the time I got home from my run, I saw that it was shared numerous times and people were commenting — all on my side.” Ultimately, people from around the world wrote that she had inspired them to start running and to develop a more positive image of their body. The Margate resident enjoyed running for causes, especially the Leukemia and Lymphoma Society, which would give runners bracelets to wear bearing the name of a person struggling with cancer. She often raised enough funds to get free plane tickets to society runs in “really beautiful places,” such as San Francisco. Ms. Mas started running marathons at age 24 and had completed about a dozen when she was diagnosed three years ago with stage 3 breast cancer. It had spread to her lymph nodes. “I used to run with a name on a bracelet; now all of a sudden, I’m a name on a bracelet,” she said. But last March, she slipped on her running shoes and gave it a try, joining the Friends in Training (FIT) running group every Saturday morning in Fort Lauderdale. She’s doing the Miami Half-Marathon this month and, in February, the Fort Lauderdale A1A Marathon. 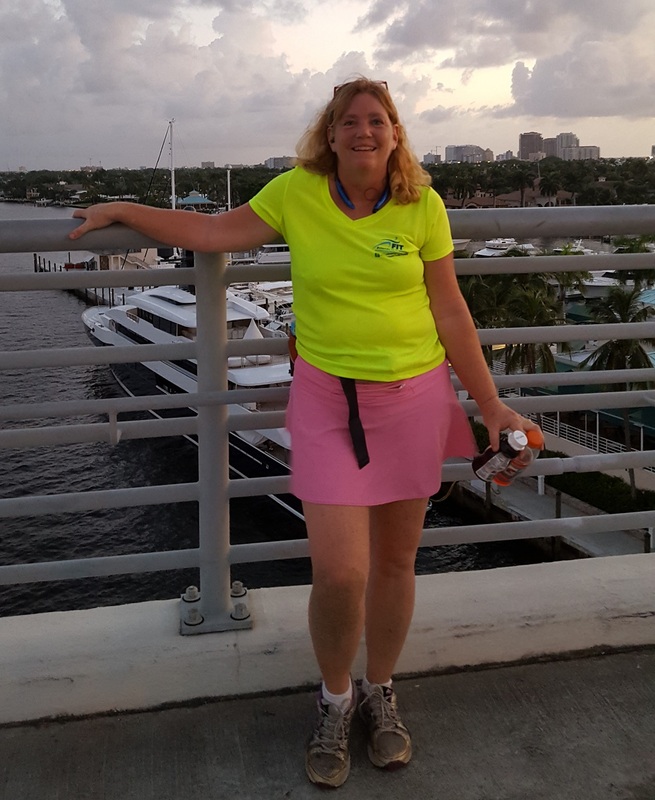 Running always has been more than just a physical activity for Ms. Mas, as a recent run along the Deerfield Beach shore revealed. With the ocean breeze cooling her face and the tropical tableau feeding her spirit, she witnessed a marriage proposal and a maternity photo session on the beach.